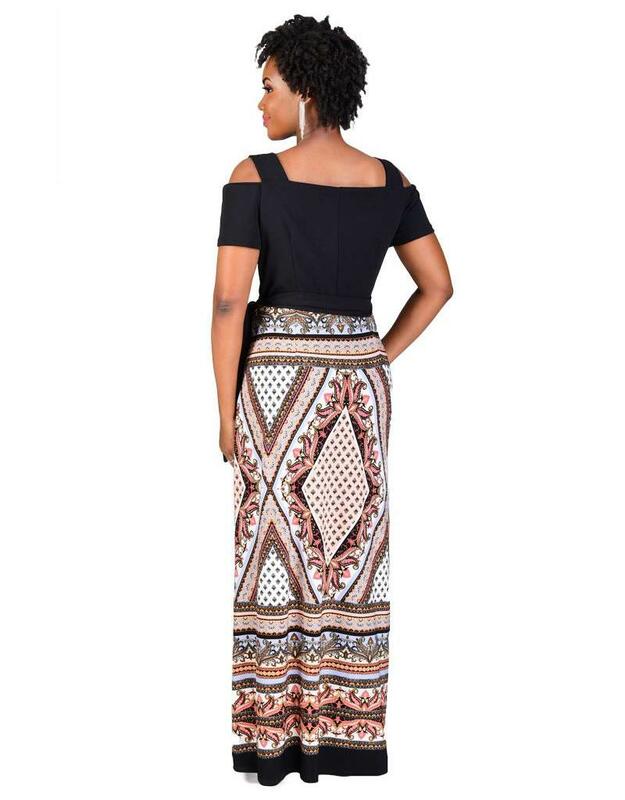 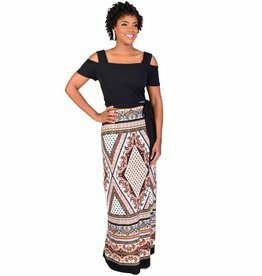 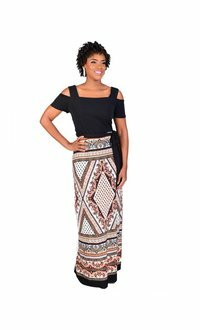 Glam up your Maxi dress options with this trendy print maxi dress with cold-shoulder cutouts. 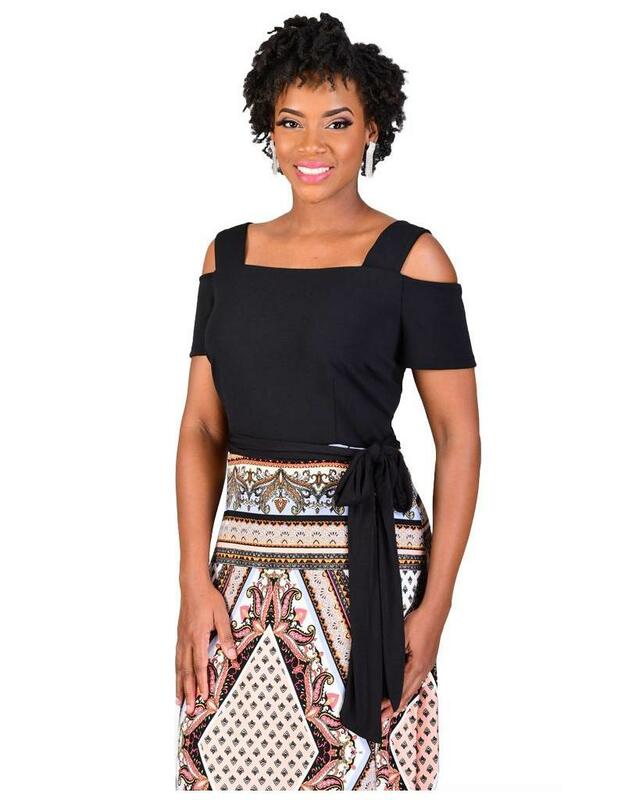 This dress features a square neckline with broad supporting straps, on the shoulder cutouts, short sleeves on a solid colored bodice that flows into a fitted waist with matching the solid colored band. 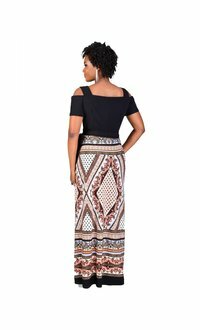 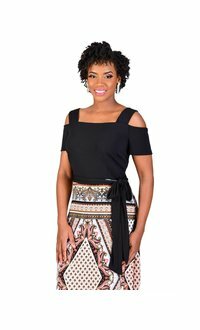 The skirt of the dress features a modern metallic print that in a free flow silhouette ending just at the ankles. 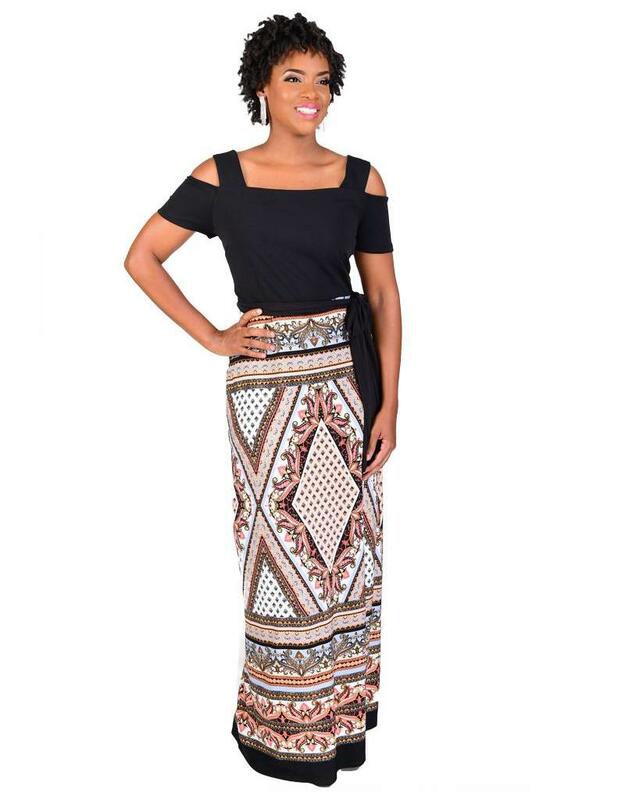 Pair this dress with accessories from our collection to meet your every need.